Recently, while excavating a box of childhood things, I found these badges, which date from around Christmas time in various years, from the late 1970s/early 80s. Pantos at York Theatre Royal my sister took me to see. 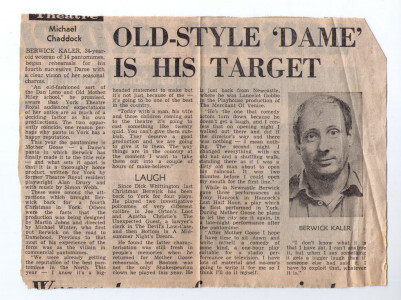 I think we were probably there the year Berwick Kaler first performed. It was, the Theatre Royal website reminds me, Cinderella. 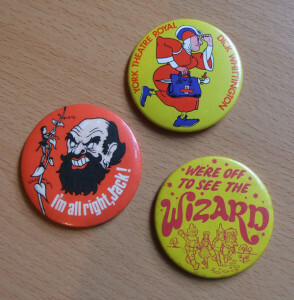 I’m sure I had a badge from that year, saying ‘At midnight I turn into a pumpkin’. It’s probably in a different box, or drawer, or lost. It was 35 years ago. We were definitely there the following year. The box of 1970s things includes this programme. And several others, including the programme for the first York panto written by Berwick Kaler, Aladdin, in 1981. It’s Aladdin again this year – or rather, ‘Aladdin and the Twankeys’. The same stories make a reappearance after a decent interval. 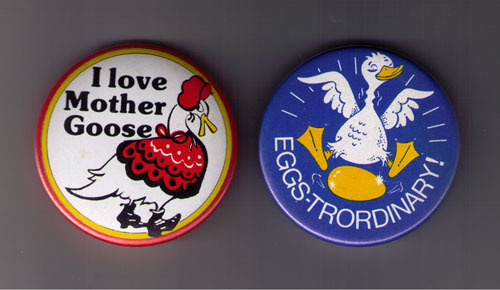 I seem to have two ‘Mother Goose’ badges. One is, I think, from the 1980 pantomime. The other, I’ve no idea. The story, and any repeating of it, isn’t important. We all know that. 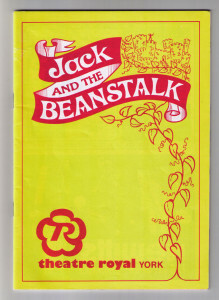 People would go to see the panto at York Theatre Royal regardless. Because it’s superb. I wish I’d gone every year, but I haven’t. 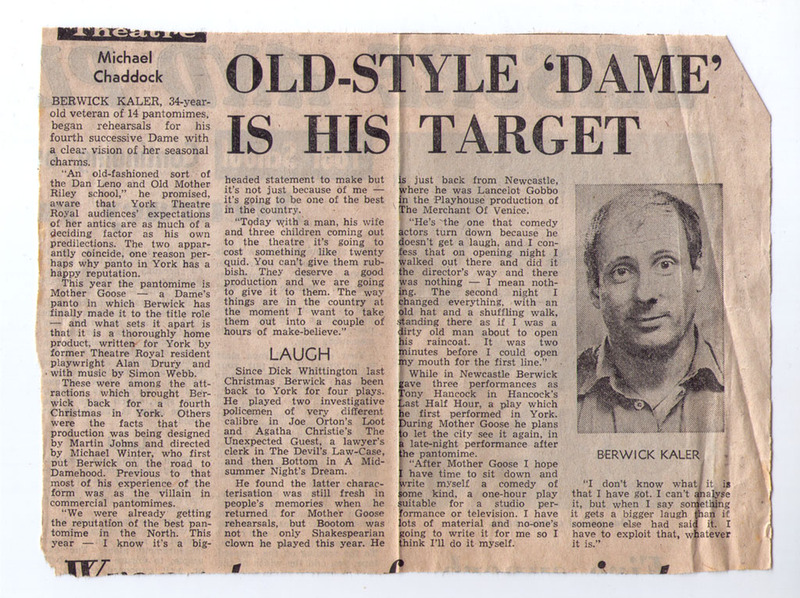 Tucked in with the old panto programmes I’ve kept was this press cutting. Undated, but apparently from 1980. 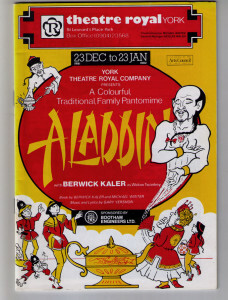 Berwick Kaler, it says, is already a ‘veteran’ of pantomime. He was 34 at the time. I was 13. Many wagon wheels have been thrown into the audience since. 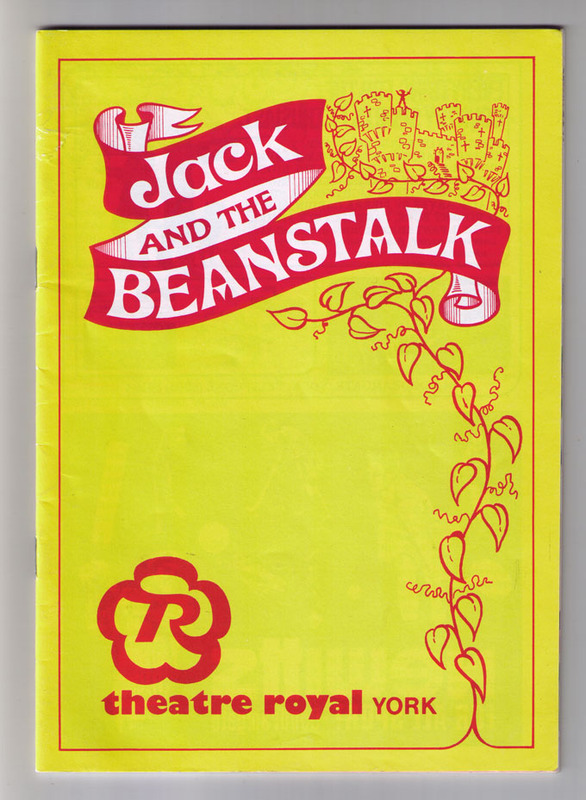 The only other programme I have is from the mid 1990s, and I think it would be the last Theatre Royal panto I went to with my sister. My ‘late sister’. I remember, and I guess it would have been that year but it’s a long time ago and all the years and all the pantos we saw combine into one happy memory, but I remember us walking along St Leonard’s Place, by the railings of the old council offices, singing the ‘Babbies and bairns’ song, and laughing because we couldn’t get the tune quite right as we launched into it enthusiastically, spontaneously, and spontaneous expression wasn’t quite our thing. We’re all the same, what’s in a name? I know, fancy crying at that. Forget my nostalgic wallowings. It’s a good message for this season of goodwill, and indeed for any old time beyond it. Happy Christmas, happy festivities, happy New Year, to all (young and senior) ‘babbies and bairns’ out there. By Lisa @YorkStories • 24 December 2013 Miscellany To link to this page's proper location please use the > permalink.